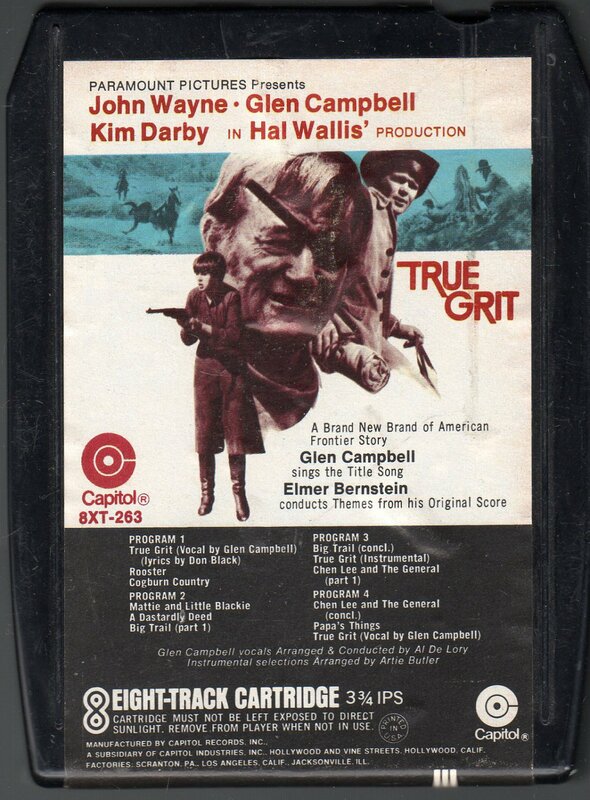 True Grit is a 1969 American western film written by Marguerite Roberts and directed by Henry Hathaway. The picture is the first adaptation of Charles Portis' 1968 novel True Grit. John Wayne stars as U.S. Marshal Rooster Cogburn and won his only Academy Award for his performance in this film. Wayne reprised his role as Cogburn in the 1975 sequel Rooster Cogburn. Historians believe Rooster was based on deputy U.S. marshal Heck Thomas who brought in some of the toughest outlaws. The supporting cast features Glen Campbell, Kim Darby, Robert Duvall, Dennis Hopper and Strother Martin. John Wayne won a Golden Globe and the Academy Award for Best Actor. Upon accepting his Oscar, Wayne said, "Wow! If I'd known that, I'd have put that patch on 35 years earlier." The title song, by composer Elmer Bernstein and lyricist Don Black, and sung by Glen Campbell who co-starred in the movie, received nominations for both the Academy Award for Best Song and the Golden Globe.